Susan, We Barely Knew You! She started out with fanfare and promise - and in the blink of an eye, she was gone. 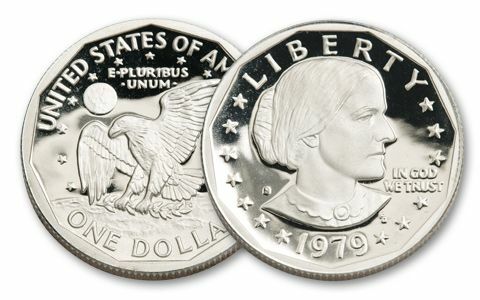 The Susan B. Anthony Dollar was introduced in 1979 to replace the dollar bill. The government had high hopes. If it worked, it would save billions, because a coin lasts so much longer. But, it was similar to a quarter and the public was not impressed. The dollar was minted for only four years. 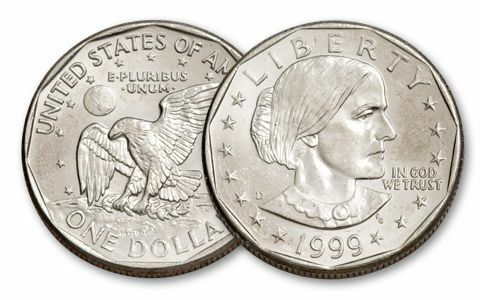 Today, a complete set of Susan B. Anthony dollars is incredibly hard to find. 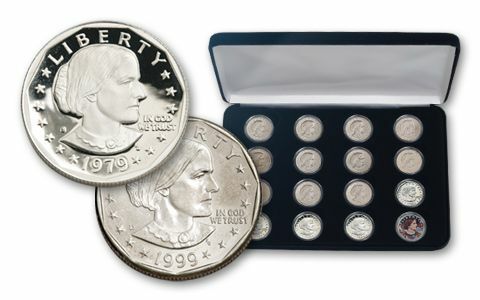 We located a small number of sets so you can now add this elusive lady to your collection. Hurry, we don't know how long our small supply will last. 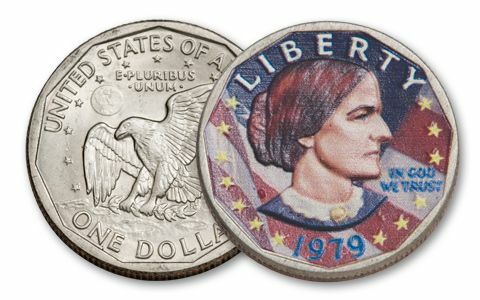 Your set includes one of every date and mint Susan B. Anthony (SBA) Dollar in both Proof and Brilliant Uncirculated (BU) condition. That's three proofs struck at the San Francisco Mint and twleve BU coins struck at all three mints: Philadelphia, Denver and San Francisco. A colorized SBA Dollar is also included as a bonus in your set. 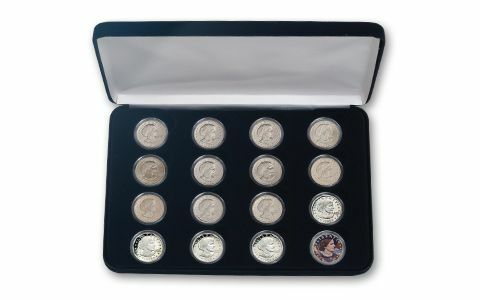 Each set comes in a deluxe presentation case.